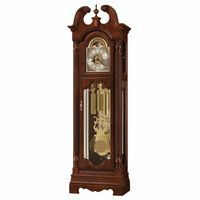 This traditional clock is finished in Royale Cherry on select hardwoods and veneers. 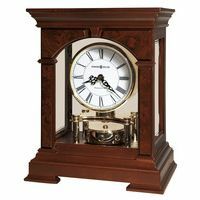 It features an arched bonnet pediment with a three-part book matched olive ash burl overlay. 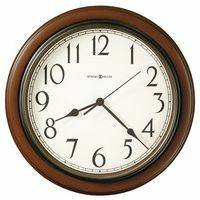 An interior lamp with three-position "e;Touch Lighting"e; illuminates the pierced stars in the functioning moon phase dial.